How curtain steam cleaning is done without taking them down? Step 1: Inspection of the curtain: The first step is to analyse the fabric of the curtain, the length and width of the curtain and deciding what all equipment and washing items are required to steam clean the curtain with absolute perfection. Expert cleaners make sure to use washing liquids that do not damage the curtain fabric and protect them from shrinking. Step 2 Pre-treating the curtain: At this step, cleaners make sure to dust off all the dirt using a vacuum cleaner. Also, identify the stubborn stains and treat them with liquids to remove it completely for better results. Step 3: At this stage complete steam cleaning is done. With the use of vacuum cleaner and cleaning agent, the complete curtain is cleaned and free them off dirt, stains and other messy things. Step 4: After the curtains are steam cleaned, now is the time to dry them using strong dryers. Expert cleaners have good quality dryers that provide the result really quick and super perfect. Step 5: Deodorising the curtain: It is a very important step towards finalising the curtain steam cleaning. 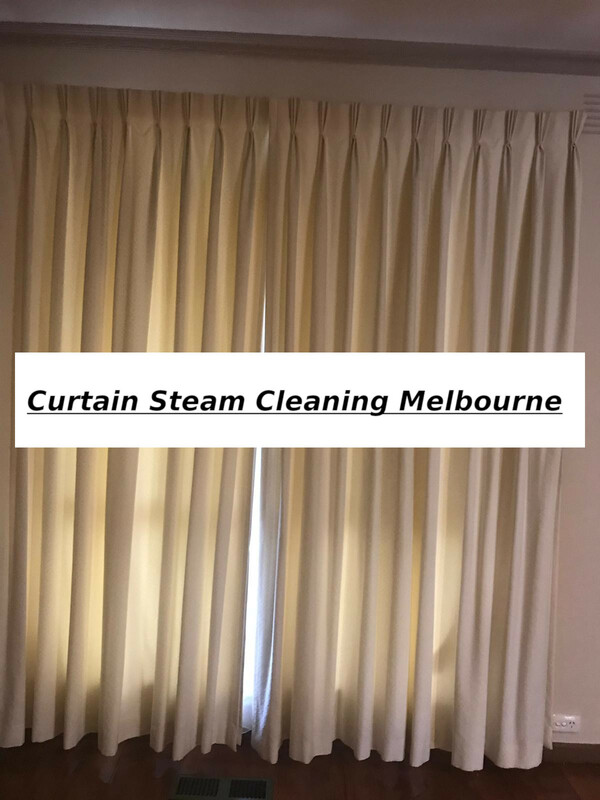 At this step curtain steam cleaning Melbourne, experts sanitise and deodorise the hanging curtains to make sure it smells fresh and is absolutely free form germs. Step 6: Finalise the work: We make sure that not just the curtain but the complete area that gets disturbed through the process is cleaned by the responsible cleaners. Learn more about the curtain steam cleaning process and talk to our customer service if you may have any question. We also provide off-site, dry cleaning service. If you are wondering about steam vs dry cleaning and what to choose then the following article will help. Curtains, drapes and blinds receive maximum ignorance while cleaning. At a place where rest of the house looks absolutely cleaned after regular cleaning, our curtains, blinds or drapes are still hanging on the rods hiding extreme dust, dirt, mould, contaminants, and many more. These spoil the quality of the air circulating in the house and also inhibits the deep cleaning process. Professional cleaners clean the curtains while they are hanging using special equipment like washing detergent, vacuum cleaner, dryer and sanitiser. Professionals accomplish the task of cleaning curtains, blinds and drapes while hanging by the two basic methods of dry cleaning and steam cleaning. Depending upon the fabric of the curtains and the intensity of the stain, the right washing treatment is chosen. If you truly want to make your neighbours go envious about the beauty of your curtains then surely curtain cleaners Melbourne can help you in the right way. Curtain Cleaning Melbourne offers sparkling commercial and residential curtain cleaning Melbourne. We offer the best steam cleaning and dry cleaning Melbourne services. No matter where you live in Melbourne we can reach to you in no time. We a team in curtain cleaning Mornington Peninsula. If you are located in western suburbs then we also have a separate team in custain cleaning western suburbs Melbourne.